pyamf is pretty sweet for Flash remoting with Pythonic server side, but now we have two nicely done and integrated remoting kits for python on the server side. amfast is well documented and has some great examples. If you have the Python addiction, check it. AmFast is a Flash remoting framework for Python. AmFast can use AMF to communicate between Python and Flash, Flex, and any other system that supports AMF. AMF is a binary object serialization protocol used by Actionscript based applications. Support for NetConnection and RemoteObject RPC. Support for Producer/Consumer ‘push’ messaging with HTTP polling, HTTP long-polling, and real-time HTTP streaming channels. Support for authentication with NetConnection and RemoteObject. Flexible Target mapping system to map message destinations to invokable Target objects. Support for ChannelSets with multiple Channels to expose resources in different ways. Built in Channels for CherryPy, Twisted Web, and plain WSGI. Support for configurable Endpoints. Use AmFast’s built-in AMF encoder/decoder C-extension, or use an external AMF encoder/decoder, such as PyAmf for a pure-Python implementation. AMF0/AMF3 encoder/decoder written in C as a Python extension for speed. More than 10x faster than the PyAmf encoder/decoder (even when using PyAmf’s optional C-extension). Map custom classes with ClassDef objects for complete control over serialization/de-serialization. Full support for IExternalizable objects. Data persistence with SqlAlchemy including remotely-loadable lazy-loaded attributes. Actionscript code generation from ClassDef objects. 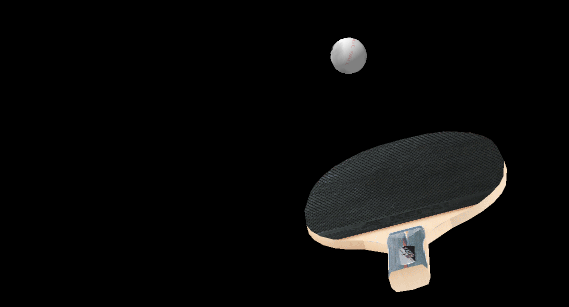 Away3D was updated to Flash 10 earlier this month. Flooded with final semester, massive workload and all the conferences #swsx, #gdc, #mix09 etc I missed the announcement. It is looking pretty sweet with this mustang demo showing off the update. Pixel bender has provided a performance update for effects that shows nicely here. The above demo shows some of what is possible with the update: normalmapping with ambient, diffuse and correctly normalised specular shading, without the need for layers. As if that’s not enough, a further Pixel Bender shader is applied to the view to create a HDR (High Dynamic Range) effect on the highlights, something usually seen in much more 3d-rich console games. 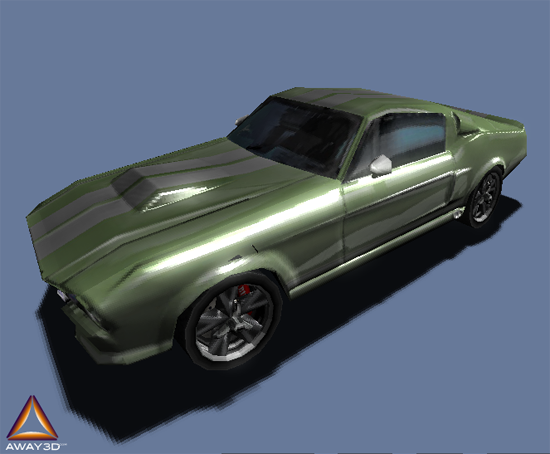 Special thanx go to Eddie Carbinfor donating an excellent normalmapped mustang model, and David Lenaerts for writing the HDR filter. Polygonal labs, maker of some of the best demos, information and tools for AS3 since inception updated the killer AS3 Data Structures for Game Developers and ported it to haXe. Of course along the way making many improvements and showing great information on how and why the haXe version is faster which mainly boils down to a more strict virtual machine but flexible still with generics. Anyways, I ramble, be sure to check out Data Structures for Game Developers by Polygonal Labs now ported for haXe as hx3ds if you are doing any sort of work in AS3 or haXe for AS3 it will be worth your while and provide a very common and useful data structures capabilities into your production that is highly optimized from one of the best AS3 developers. As the name suggests, hx3ds is a port of as3ds for haXe and is now available at lib.haxe.org. hx3ds only supports the flash player 10 target, as it makes extensive use of the Vector class. If you need data structures that compile across all platforms, take a look at colhx instead. The library contains a two-dimensional and three-dimensional array. They are both implemented by a single linear array rather than nested arrays. This is the fastest method in flash to simulate multi-dimensional arrays and outperforms the nested array method because multiple array lookups are slower compared to one lookup combined with a simple arithmetic expression (which you can also often precompute in the outer loop). The most obvious application would be a tilemap in 2d or a layered tilemap in 3d. This is also called a FIFO structure (First In – First Out). The queue comes in two variations, which have the same methods, but differ in their implementations: There is the arrayed queue, which obviously uses an array internally, and the linked queue, which is build upon a linked list. They are both very similar, except that the arrayed version has a fixed size and is faster. A common application would be a command queue – imagine you have a unit in a strategy game and apply many commands which the unit should follow. All commands are enqueued and afterwards dequeued and processed in order. Also commonly know as a FILO structure (First In – Last Out). Like the queue, this comes in two flavors: arrayed and linked. A stack is often not used directly, but a very important concept in programming. Please note, that a queue and a stack are not real structures, because they just define how data is accessed rather then stored. A node-based structure. Every tree starts from a single node, called the root node. The root node can contain any number of child nodes, and every child node can again contain children. A tree node with no children is called a leaf node. In fact if you draw the nodes of a tree it looking like a real tree with branches. The AS3 display architecture is also a tree structure, so you could use this to manage your display objects and update them by traversing through the tree. Also, this is useful for decision trees, BVHs, storing a plot line or storing data recursively by applying the composite pattern. This is just a specialized kind of tree where each node is only allowed to have up to two children, called the left and right node. Binary trees are very often used for parsing input data, for example arithmetic expressions or when building a scripting system. Both structures store data that can be retrieved quickly by using a key. The method however differers greatly: The BST uses a recursive approach to split up large amounts of data into smaller sets. A hash table stores sparse key-based data using a hash-key in a small amount of space. A linked list is similar to an array. The main difference is that in an array, each cell contains just the data and is accessed by an index. A linked list consists of several node objects, which in addition to storing the data, manage a reference to the next node (singly linked) or to the next and previous node (doubly linked) in the list. Think of it as a more natural approach to work with sequential data. Other benefits are that you can insert and remove data quickly by just calling the appropriate method on the node itself – you don’t have to manage array indexes. Also in AS3 object access is faster than array access, so it competes very well in terms of performance when iterating over the list. A Heap is a special kind of binary tree in which every node is bigger than its child nodes. Whatever you throw into a heap, it’s automatically sorted so the item with the ‘most significant’ value (depending on the comparison function) is always the front item. A priority queue is build upon the heap structure, and can manage prioritized data – which can be used in limitless ways. A graph is a loose node-based structure. Nodes are connected with arcs, and every node can point to any other node. They can also point to each other creating a bi-directional connection. It is essential for path finding, AI, soft-body dynamics with mass-springs systems and a lot more. A bit vector is some kind of array in which you can store boolean values (true/false – 1/0) as close as possible without wasting memory. I currently can’t think of a reasonable application, because usually you should have enough memory – but it’s nice to have because it shows basic bit masking operations. Basically these engines look to be micro and provide pretty nice features while being so small. Micro tweening engines like GTweeny (3k), ByteTween (1.7k), TweenLite (2.7k), TweensyZero (2.9k) and Tweener (9k) have varying levels of support of features (Tweener being the most loaded with color and filter support without other kits just init, also TweenLite with a nice configurator to include only what you need). Micro kits have benefits when used for banners, animated assets (where you have many assets and the per asset savings is worthwhile) and other places you just want really small output. This kit has a c# version as well as a small as3 bytetween version. Creation of tweens of any numeric property (not color/uint properties). Pause,Unpause,Cancel operations based on the tween target and property. ’scale’ tween of both ’scaleX’ and ’scaleY’ properties. Easy interface for creating new tweens! SPEED – I’m not aware of any popular tweening engine with a similar feature set that’s as fast as TweenLite. See the speed comparisons yourself. Feature set – In addition to tweening ANY numeric property of ANY object, TweenLite can tween filters, hex colors, volume, tint, saturation, contrast, frames, and even do bezier tweening, plus LOTS more. TweenMax extends TweenLite and adds even more capabilities like pause/resume, rounding, event listeners, timeScale, and more. Overwrite management is an important consideration for a tweening engine as well which is another area where the GreenSock tweening platform shines. You have options for AUTO overwriting or you can manually define how each tween will handle overlapping tweens of the same object. Expandability – With its new plugin architecture, you can activate as many (or as few) features as your project requires. Or write your own plugin if you need a feature that’s unavailable. Minimize bloat, and maximize performance. Management features – TweenGroup makes it surprisingly simple to create complex sequences and groups of TweenLite/Max tweens that you can pause(), resume(), restart(), or reverse(). You can even tween a TweenGroup’s “progress” property to fastforward or rewind the entire group/sequence. Ease of use – Designers and Developers alike rave about how intuitive the GreenSock tweening platform is. Updates – Frequent updates and feature additions make the GreenSock tweening platform reliable and robust. AS2 and AS3 – Most other engines are only developed for AS2 or AS3 but not both. The decision on which to use can be affected be features you want, how it feels (many use the same object syntax so it is dynamic), what performance do they have (all are orders of magnitude faster than the built in tween (flash) or transitions (mx/flex)), which size is ok, author/community support needed (some are more active than others adding features or simplifying and tweaking performance methodically), and many other factors. There are definitely plenty to choose from.